The nation’s capital and the 50th anniversary of the signing of the Freedom of Information Act served as the backdrop for the 2016 FOI Summit. 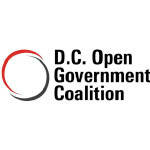 The National Freedom of Information Coalition (NFOIC) and the D.C. Open Government Coalition (DCOGC) convened the 2016 summit on Friday and Saturday, October 7-8, at the Dupont Circle Hotel in Washington, D.C.
Each year, the FOI Summit features the exchange of ideas, experiences and discussions about the latest issues and trends around freedom of information laws, policies and practices at the state and local levels across the U.S. The summit delivers two days of panel discussions, presentations, and group interaction featuring experts, advocates and champions of transparency and open government. Included in the summit is the keynote luncheon highlighted by the 2016 induction of a worthy individual into the State Open Government Hall of Fame, a tradition NFOIC launched in collaboration with the Society of Professional Journalists more than a decade ago. Former Tennessee Press Association president, director of the Southern Newspaper Publishers Association and the national Audit Bureau of Circulation, judge, district attorney, newspaper editor and publisher Sam D. Kennedy became the 16th inducteeat the 2016 Summit. Learn more about the happenings and highlights from the 2016 FOI Summit. Next year's conference will be held in Nashvlle, TN October 13-14.